While out walking along the streets of Harajuku, our attention was caught by Yui and her colorful style and curly aqua hair. 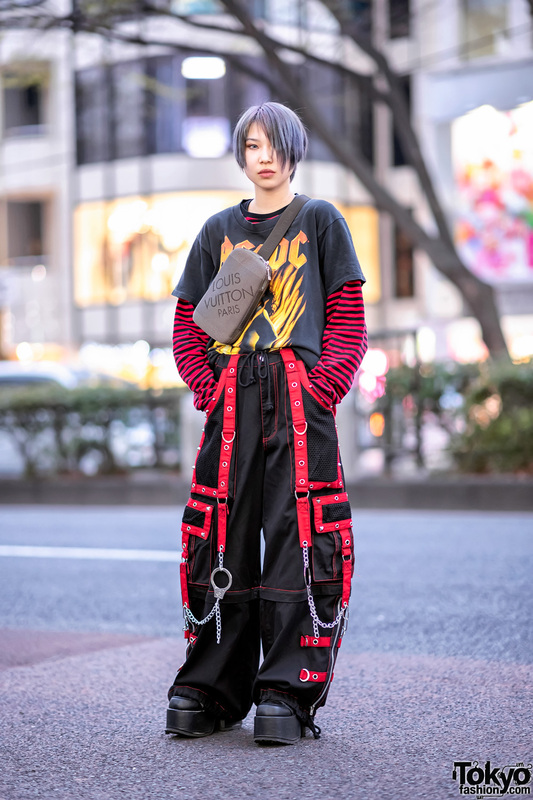 Yui is dressed in a handmade ensemble, which consists of a colorful tie-dyed denim jacket with ripped sleeves, which she wore over a yellow Are We Having Fun Yet cropped tank, and a matching tie-dyed denim shorts with distressed cuffs. Pastel knee-high socks, lace-up sneakers, and a Yin-Yang heart round bag with a gold chain strap completed her handmade outfit. 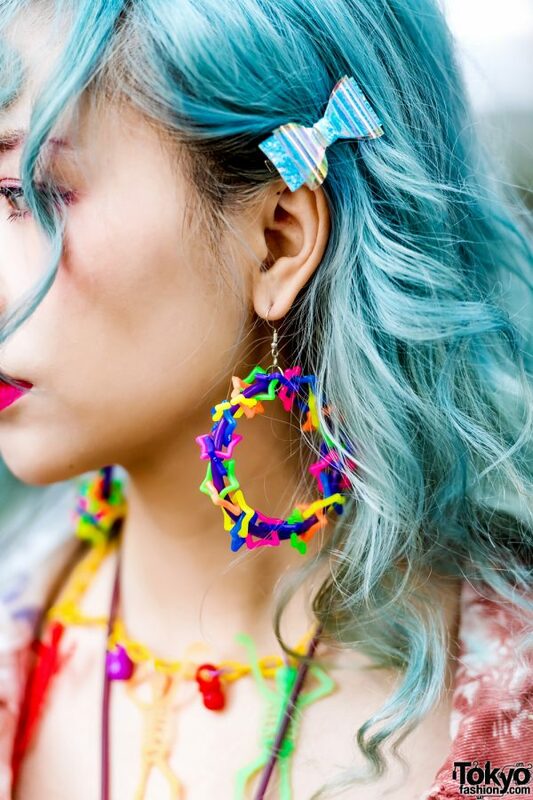 Yui embellished her look with handmade accessories such as colorful hoop earrings, a skeleton necklace, and a fuzzy rainbow phone case hanging from her neck. Yui’s favorite fashion brand is Nope, and she enjoys grooving to disco and funk music. For more on Yui, follow her on Instagram.